Grant R. Jeffrey believed the Bible was the Divinely inspired word of God because God signed it. There is no way it can be deemed a forgery, a fake, or uninspired. 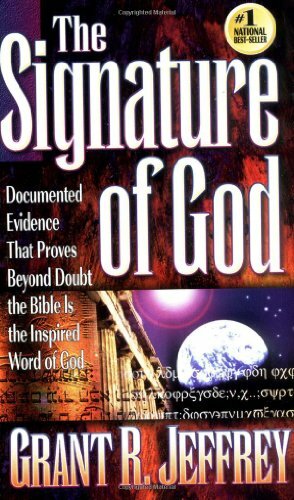 His wrote a book titled "The Signature of God", to present his proofs. Logic dictates if there is a sole author of the "the Book of Books", the author must exist or must have existed at some point. Three decades earlier, before Jeffrey's findings were made available to the public, two other men, John Hick and Paul Edwards, presented the results of their research regarding "The Existence of God". It was an exercise in philosophical reasoning. "I am profitably engaged in reading the Bible. Take all of this Book upon reason that you can, and the balance by faith, and you will live and die a better man." It is clear in reading The Signature of God that Jeffrey's purpose is to persuade or convince non-believers that the truths presented from Genesis to Revelation are verifiable and come from a Higher Power who reveals Himself to all mankind through His Word. Jeffrey's work is the result of several years of research and study, the final product being presented to the public in book form in 1998. But if one is to accept his analysis and conclusions, one must first accept that God is real. Suppose the non-believers don't even believe there is a Supreme Intelligent Being we refer to as God? Logic dictates if there is a sole author of the “the Book of Books”, the author must exist or must have existed at some point. In 1964, two other men, John Hick and Paul Edwards, published the results of a project they had undertaken. They went on a quest to gather “available” information from the ancient Greeks to the present day (the “present day” at that time being circa 1960s) and share arguments representing both sides, i.e. FOR and AGAINST The Existence of God. 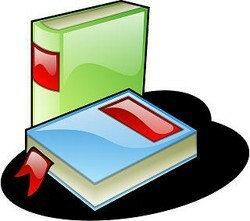 Both books, in paperback format, are between 300 to 350 pages. So first I'd like to say that the condensing of years and years and years of that kind of extensive research into publications that are less than 400 pages is nothing short of miraculous!!! Are you're trying to convince me that an extremely wise and intelligent Being is the author of one of the greatest books ever written? Well then quite frankly I think that the mysterious Hebrew codes, the mathematical signature of God, and the "Undesigned Coincidences" are totally unnecessary convolutions. The information and arguments presented did nothing to convince me that the Bible is God-breathed inspired words. Hey! I'm a tough audience! Second article connecting the dots on a presidential timeline. The first dot was the election of the country's first POTUS, 1789. This next dot is Lincoln's assassination, 1865. Truth is objectiive, for an idea is either true or false, though theories, which are collections of ideas, generally contain mixtures of both. However, our relationship with the truth contains a personal element, as we forge our own individual path in life. In Catholicism, for example, we have a defined body of teachings, which we believe to be the truth, but within this general framework of belief and observance each person take their own path. For example, some are celibate, but I am not. I go to mass weekly, but in other ways I am not as ritualistic as some other are, for I prefer quiet, personal prayer. You are right to say that we must not hurt another's freedom, and you are also right to say that there is benefit in reading widely in World Religions. I have taken the trouble to study every world religion, but it is a cup too deep to drain fully. Everybody has his or her own truth and this is a good thing. We just have to be careful not to hurt each other's personal freedoms. And as a writer I can confirm Bible (and numerous religious texts) makes a great reading no matter what religion you belong (if any). More reading - better world! I'm one of the few people that can discuss religion. That's because I don't challenge the beliefs of others. Religion, God, spirituality is a personal path. Understanding of the truth is like a seed. It begins small and then develops, but it must be nurtured and will take a lifetime. But what is important is that we do not just try to grasp the truth with our intellects. We must live in it, grasping it existentially. If we are living wrongly, we have to step out of our wrongful ways, in a process that Christians call metanoia, to step into the way of truth by living in a rightful way. My quest of searching truth was a long one till I found a path and technique. This path is a practical path which has to be practiced, no books, no dogmas and theories come near to the core of understanding life better. The questions such as - why I was born and where did the universe come from are quintessential questions still remain unanswered. But now I know at least some part of it has to do with me and my actions only. cmoneyspinner: Ditto to you on valued perspectives. The Book of James is helpfully succinct. Thanks for visiting. Your perspectives are highly valued. "All the truth in the world adds up to one big lie." Perhaps it is aspects of truth which befuddle the search.